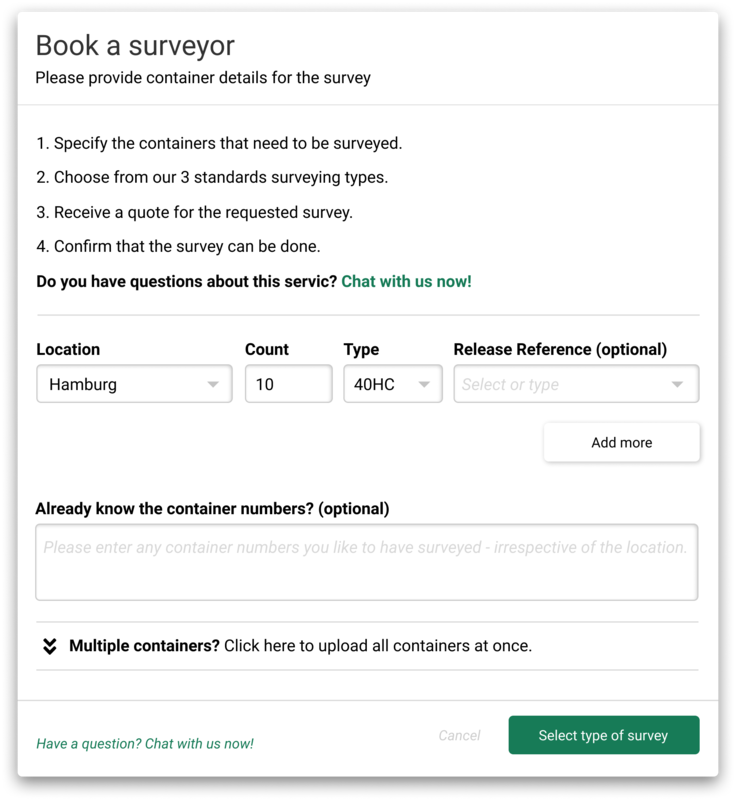 Container xChange is launching a new feature that aims to simplify processes and create more trust amongst users: You can now BOOK A SURVEYOR for a survey directly for any type of container, anywhere around the world. 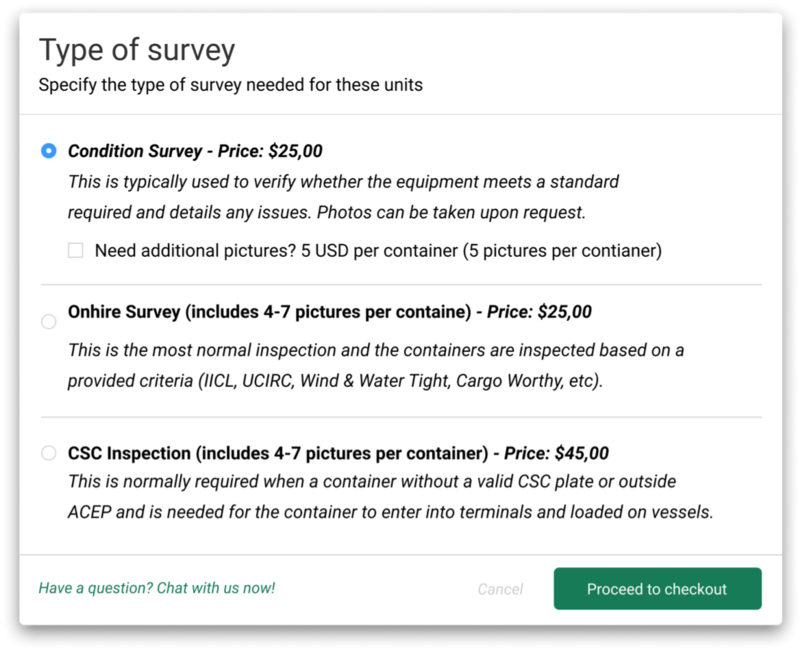 In 4 easy steps members can provide all the information needed to conduct the survey – without sending multiple emails forth and back between the surveying company and themselves. xChange facilitates the process. This is typically used to verify whether the equipment meets a standard required and details any issues. Photos can be taken upon request. This is the most normal inspection and the containers are inspected based on a provided criteria (IICL, UCIRC, Wind & Water Tight, Cargo Worthy, etc). This is normally required when a container without a valid CSC plate or outside ACEP and is needed for the container to enter into terminals and loaded on vessels. 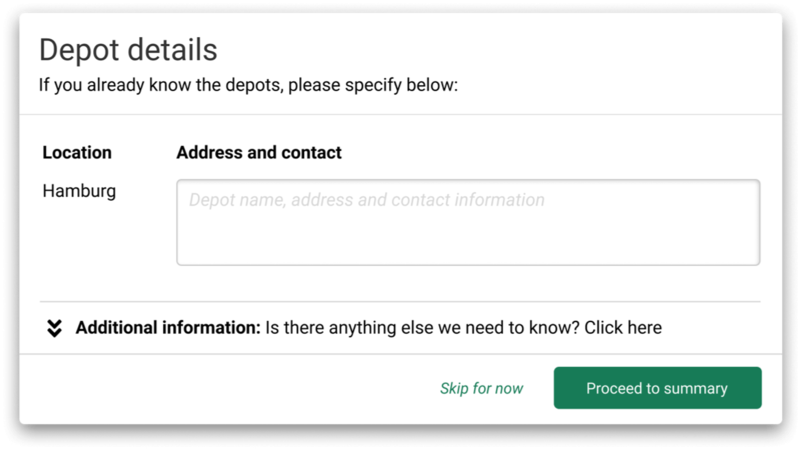 Step 3: If users already know the specific depots, they can provide the information. This makes the process even simpler and faster. 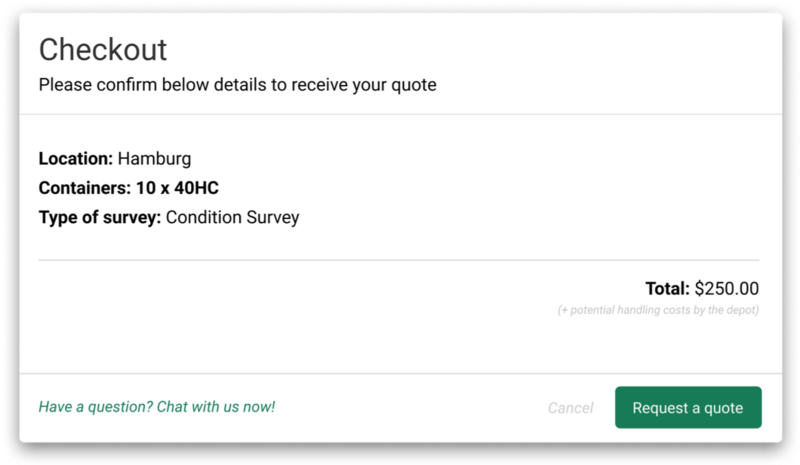 Step 4: User can confirm the provided information and request a quote from xChange. Once the quote is confirmed, the survey will be conducted!